Honda has released an official sketch of the new Honda Brio MPV that will be making its world debut at the Indonesia International Motor Show (IIMS 2013) in September. 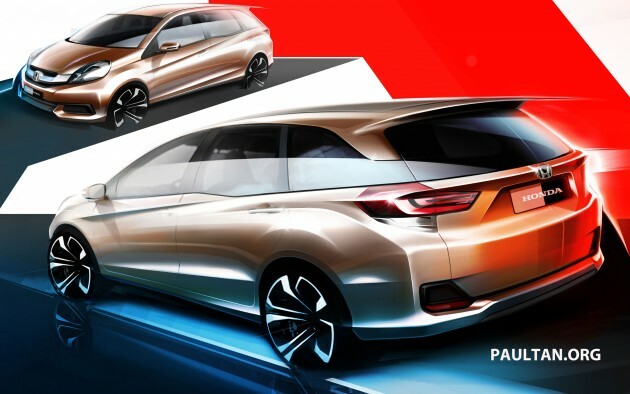 The sketch is of the Honda LMPV Concept, and the name of the production car hasn’t been confirmed yet, but it is based on the Brio family, which consists of the original hatchback and the Brio Amaze sedan that appeared late last year in Bangkok. 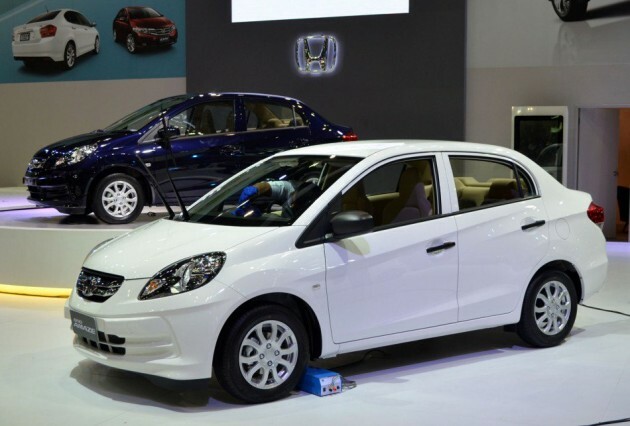 The Brio MPV was developed for the Asian market by Honda R&D Asia Pacific Co Ltd in Thailand and PT Honda R&D Indonesia. This model will mark Honda’s entry into Indonesia’s entry level MPV (low MPV) arena, which is the country’s biggest auto segment. Rivals that are waiting include the Toyota Avanza and Daihatsu Xenia twins, Suzuki Ertiga and the Chevrolet Spin, among others. The MPV will be the first product of Honda’s new RM1.05 billion second plant in Karawang Industrial Park, scheduled to begin operation in early 2014. It will come with seven seats in a three-row configuration, the segment norm. This affordable, compact MPV should be coming to Malaysia in the near future; do you think it will be better received than the Freed here? lampu depan tu kasi ejas sket. dalam mimpi ko la.. Jazz CKD pun dah 75k.. Drawing looks good. Hopefully end product is as good as sketching… Then it can surely challenge Avanza sales. size like Alza, price must near Alza to be competitive here..
Do u guys feel that all B-segment Japan designed marques are very similar with one another nowaday? From far hard to differentiate whether is Vios, Almera, Attrage, Brio..my goodness….truly no identity, all have the same look. The Brio Amaze sedan is a rebadged Suzuki SX-4 sedan in disguise. The whole shape of the car especially the rear passenger window is a big giveaway! By the speed new models are being dished out it will be a buyers market next year. What happened ??? Proton Preve hatchback where are youuu hidingggg ? What type of NAP we have? instead Honda build a new plant in Indonesia. Lee C Wei again, the only one left. Well…it’s Honda. Don’t make it too cheap after all it is going to be an ordinary car. Should be powered by at least 1.8cc engine like civic. If size slightly bigger than Freed but within the same price range will be much better. It’s look like Honda Odysseh from rear.